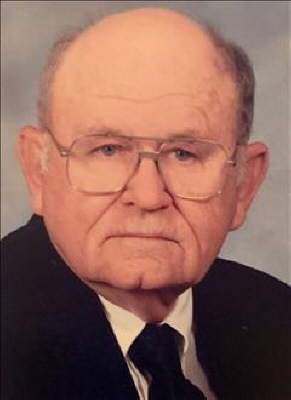 Louis A. Martin Jr., 91, retired, of Greenville, died Friday, April 12, 2019 at Delta Regional Medical Center. Louis was born August 13th, 1927 in Holly Bluff, MS. He was a veteran of the United States Marine Corps and served in World War II. He was the owner of Louis Martin Heating and Air, until his retirement in 1992. He was preceded in death by his parents, Louis A. Martin Sr. and Lizzie Screws Cerame; and wife, Willa Dean Martin. Survivors include: two sons, Ronny (Brenda) Martin and Wylie (Debbie) Martin of Greenville; one daughter Lisa (Loyd) Chambers of Greenville; one brother, Ellzey Gene Martin of Laguna Beach, CA; and one granddaughter, Lauren Chambers of Jackson. Funeral services will be 2:00 PM Sunday, April 14th, 2019 at Mortimer Funeral Home. Visitation will be one hour prior to the service. Interment will be in Greenlawn Memorial Gardens, under direction of Mortimer Funeral Home. To plant a tree in memory of Louis A. Martin, please visit our Tribute Store. "Email Address" would like to share the life celebration of Louis A. Martin. Click on the "link" to go to share a favorite memory or leave a condolence message for the family.